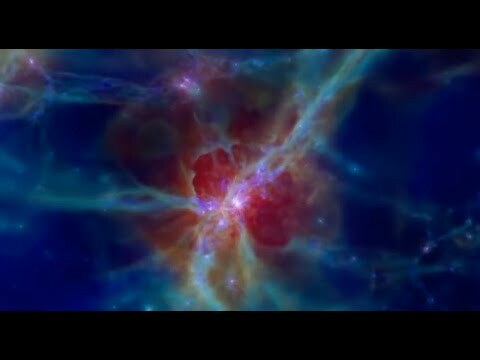 How do galaxies form? What are dark matter and dark energy? And what will be the ultimate fate of the Universe? We are active members of a global community of astrophysicists, cosmologists and space scientists searching for answers to some of the biggest questions in physics today. With advanced supercomputer technology and access to the most powerful telescopes on Earth – and in space – we simulate and observe the Universe in a quest to unravel its mysteries. We are also helping to build the next generation of ground and space-based telescopes that will expand the frontiers of cosmic knowledge. Our excellent research environment and facilities attract scientists from across the globe to come to this beautiful city in the North of England to work with us. Ultimately our goal is to extend society’s knowledge and understanding of the Universe and our place within it. The EAGLE Project uses supercomputer technology to create realistic simulations of galaxies. This helps us to understand the origin and evolution of the Universe and how galaxies like our Milky Way formed. Durham University hosts the COSMA supercomputer, an international facility used by scientists across the world to simulate the evolution of the Universe with unprecedented accuracy. COSMA plays a key role in the UK’s Distributed Research utilising Advanced Computing (DiRAC) facility supporting research in cosmology, astrophysics, particle physics and nuclear physics. The Institute for Computational Cosmology is a major partner in the international Virgo Consortium for Cosmological Supercomputer Simulations. Galaxy Makers – Design Your Own Universe!